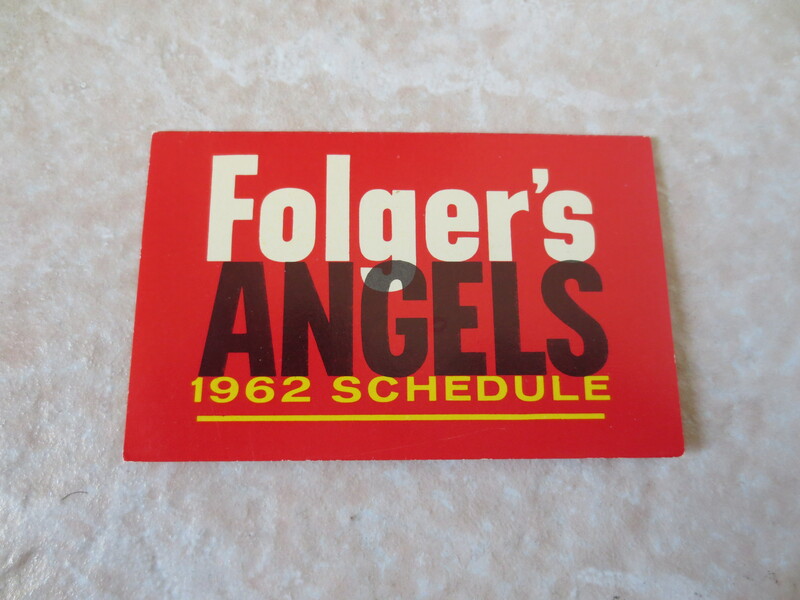 Lot Detail - 1962 Los Angeles Angels pocket baseball schedule 2nd year in Majors Folger's Tough! 1962 Los Angeles Angels pocket baseball schedule 2nd year in Majors Folger's Tough! 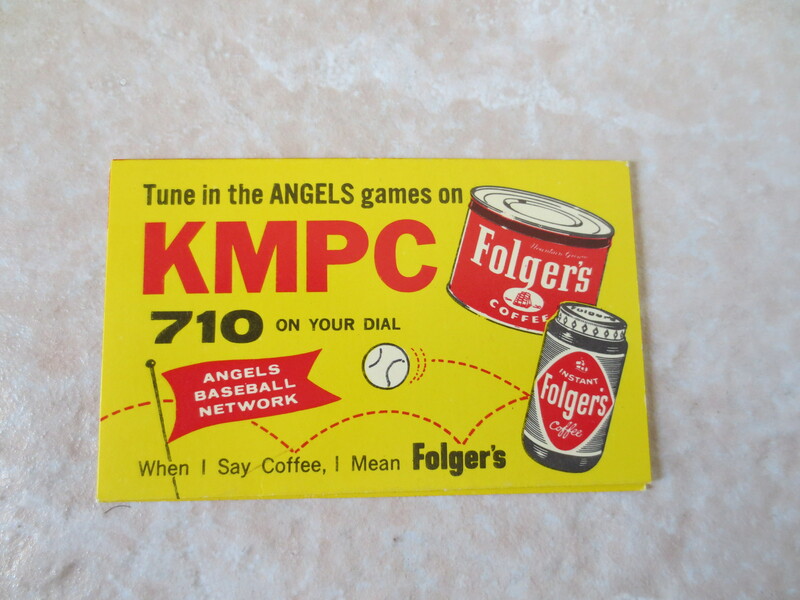 What we have here is a 1962 Los Angeles Angels pocket schedule in super condition. This is only the Angels second year in the major leagues. The schedule was made by Folger's Coffee.